Newton Farm Nursery, Infant and Junior School in Harrow has achieved Centre of Excellence status again. Newton Farm is located in South Harrow and has an intake of predominantly Asian pupils, many of whom are of Tamil heritage. Approximately 84% of pupils have English as an additional language. The school has a reputation for academic excellence and places are much sought after by parents. The school is in the process of expanding from one to two form entry and now has two classes in each year group from Reception to year 3. The Headteacher has been in post since September 2017, having returned to the school after several years working in a different borough. The school previously had a long-standing and well-regarded Headteacher who retired, followed by an interim Headteacher. There was a significant turnover of staff during this period, but the school has now stabilised and is fully staffed for September. The school has sustained and built on its excellent inclusive practice since the last review in June 2017. There are a significant number of evident strengths, most notably the strength of pupil voice and the ethos of a “Rights Respecting School”, which is embedded in every aspect of school life. Pupils refer frequently to the UNICEF Articles relating to the Rights of the Child and talk confidently about their own involvement in school life. A great deal of work has gone into this, including the production of personalised posters with photos of the children dramatising each Article. One year 4 pupil told me: “I feel really safe – the adults respect all our thoughts and listen to what we have to say”. The continued development of Philosophy 4 Children is helping children develop the ability to think more deeply and explore alternative solutions, as well as supporting them to develop the language to express themselves articulately and with confidence. Staff model vocabulary, thinking skills and how to express different emotional responses, such as empathy; further training is planned for all staff in the coming months. Children say they enjoy the sessions, and in the year 2 session I observed, children were attentive and respectful of the contributions of others. A year 6 pupil assisting in the class noticed one child struggling with what he wanted to say, and quietly intervened to encourage and support him. The school continue to develop their provision for mental health and personal resilience. The inclusion lead is trained in Drawing and Talking, a therapeutic arts programme, and the school uses circle times and assemblies to promote mental and emotional health. The Managing Feelings intervention is used in Reception to support identified children with social and emotional needs and nurture group sessions help pupils to form sustainable relationships with peers, as well as promoting key inclusive values such as tolerance and acceptance. There are many opportunities for children to become actively involved in decision making: for example, the Learning Council scrutinises work and curriculum plans with senior leaders, while School Council leads on key projects such as the re-development of the KS2 playground. Children are encouraged to take on specific responsibilities within the school, ranging from Playground Pals who offer peer support at play and lunchtimes to Young Interpreters who support pupils new to English. Children generally work very well together and see their class mates as partners in learning, they talk about learning from each other and sharing their strengths to help others develop their skills. Several children talked about having a “growth mindset” and using that to overcome challenges in learning. Success is recognised in many different ways, such as through the Friday achievement assembly, and through class Bingo. Each week a number is selected and the children who have this number on the register meet with the Head and Learning Council to share and discuss their work. A follow up letter is sent to every parent by the Head, recognising what the children have achieved and suggesting next steps, which both the children and parents really appreciate. The strength of relationships between pupils and between pupils and adults in the school is plain to see; children say they can trust their teachers to listen and to help if they have a problem. Peer mediators are available to help resolve issues and there are Friendship Stops in the playground which children can use if they want someone to play with. A newer member of staff said that she loved the way the children quickly notice if someone is on their own, and immediately encourage them to join in. The ethos of respect is pervasive throughout the school, children with complex needs are thoughtfully and sensitively included, and difference is openly discussed and celebrated. One year 4 child with SEN told me the school was “phenomenal” – a year 5 child said, “no-one feels excluded when playing games”. Staff have a shared purpose and although there is a strong emphasis on achievement, the needs of each and every child are considered and catered for. A flexible range of reasonable adjustments and different strategies are used to ensure that all pupils are enabled to progress from their starting points. One teacher said that there was an expectation that all children would achieve regardless of their needs, and that the staff were expected to find ways that worked for each child. Several pupils told me that they enjoyed their lessons and that their teachers made learning fun. Teachers work closely together to ensure consistency and continuity across the curriculum. 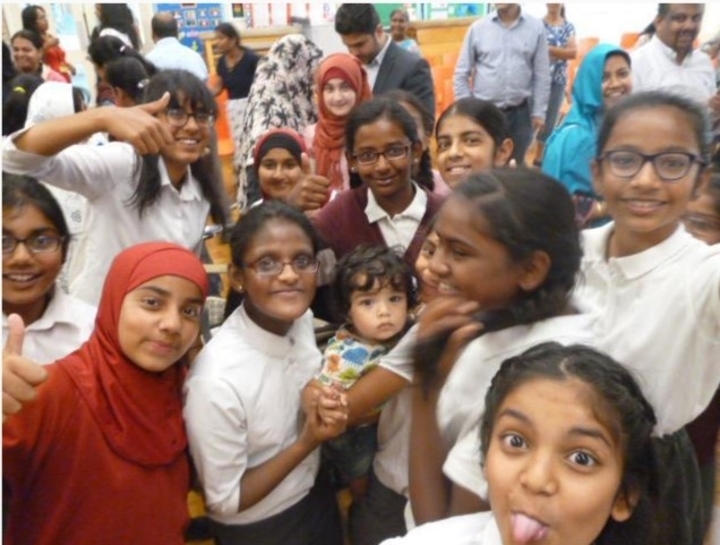 There is an emphasis on engaging lessons that use a range of teaching strategies and learning styles to engage pupils; these are supplemented by individual or group support for children who need it. Support staff are valued by children and teachers alike and play an important role in supporting individuals to access the learning opportunities on offer. Class teachers have dedicated time during the week to work with small groups, enabling them to support pupils who need additional input. Outside professionals including the educational psychologist, speech and language therapist and occupational therapist provide specialist support for children with complex needs, and the school accesses bespoke support as needed, such as grief counselling for a pupil who had been bereaved. Although the school historically achieves very well, there is a constant drive to build on success, for example, Aspirations Week has given pupils the opportunity to hear from a range of parents, including doctors, lawyers and accountants, and consider what skills they need to do their jobs. One parent had prepared resources and handouts about accounting which he related to the concept of a toy shop to make it accessible for the children. Opportunities are taken to challenge gender stereotypes, for example, by asking a female lawyer to speak to the children. The school has teachers for French, music and P.E., allowing the children access to specialist teaching in these areas. This is balanced against time with their class teacher, so that strong relationships can be fostered, teachers know their children really well. Pupils are given many opportunities to be successful, including the chance for older children to participate in a range of sporting events regardless of ability. Every child has the opportunity to participate in an after-school enrichment club run by school staff, with a wide variety of activities on offer including sewing, gardening and yoga. The school also offers Learning Club and a range of after school sports activities, and one child told me how much he had enjoyed the Mathematics Challenge event last year. An external company provides some of these activities as well as a breakfast club. Careful thought is given to the experiences the children have to support and enhance their learning, the Nursery children have a thriving garden where they are growing their own fruit, vegetables and even Jack’s beanstalk! Their work is displayed in context alongside. Everyday opportunities are used to maximise the opportunities for learning and to foster shared responsibility for the school – children even help prepare some of the dishes for lunches, including desserts and pizza. Children visit places of interest locally, in central London and further afield; examples include London Zoo and Chelsea Physic Garden and a visit to The Tiger That Came to Tea. Year 5 are very much looking forward to their residential PGL trip next year. The school also brings outside providers in, such as History Off the Page workshops to support a topic about the Romans. There is a calm purposeful atmosphere within the school. An attractive range of displays relate to current learning, while others celebrate the achievements of pupils, such as the wall of excellence which showcases examples of exceptional writing. Good use is made of the outdoor area, which is attractively planted and well maintained. There is a pond area and different areas of the playground offer inviting seating areas and a range of activities. The school is looking forward to “No Electricity Day” next week, which is designed to encourage children to get out and explore the outdoor environment. The school itself is kept tidy and children are taught to respect their environment – one parent mentioned her son being commended by the Headteacher for picking up litter without being asked. Around the school children are calm, polite and friendly with adults and each other – there are very few incidences of poor behaviour. Incidents of bullying are very rare; any issues are dealt with swiftly by the senior leadership team. The school is currently working towards the Anti-Bullying Quality Mark. The school continues to build relationships with parents and families in a variety of different ways. Workshops are provided so that parents know how to help their children at home, and the school website has a wealth of information about what children are learning. There is a Parent Library with educational books that can be borrowed. The Headteacher holds weekly parent meetings about relevant issues such as safeguarding, and senior leaders make themselves available at the beginning and end of the school day so that parents can raise any issues or concerns. Parents comment that the staff are very approachable, and that any problems are addressed quickly. The school has taken a number of practical steps to further improve the safeguarding of pupils. These include changes to site security, including the presence of staff at entrances at the start and end of the day, and the introduction of a lockdown procedure in case of emergency. This was presented to the children in such a way that pupils understand its importance, but are not unduly frightened, using the concept of a stranger or an animal getting into the building. All support staff are now trained First Aiders and teaching staff feel reassured by this. The school is using My Concern to track and manage child protection concerns, and staff work closely with Harrow Children’s Services. Information about individuals causing concern is shared with the relevant staff so that appropriate support can be put in place.